We are pleased to offer a broad range of genuine antique maps and prints from the 15th to 19th century. Our large selection of maps covers the Americas, North America, Africa, Middle East, Asia, Europe, British Isles ,London, The Pacific and Maps of the World. We also specialise in town plans and views. We specialise in all the leading cartographers from Mercator, Ortelius, Blaeu, Munster, Homann etc and all the other important mapmakers from Aa to Zatta. The website is searchable from the Cartographer section. Our selection of antique prints includes decorative prints of birds, flowers and animals. We also specialise in prints of Egypt, architecture and marine. All our antique maps and prints are genuine, we do not sell reproductions and each antique map or print is sent with a certificate of authenticity. Buy with confidence. You can return any purchases within 10 days, without giving a reason, providing you pay for insured return. 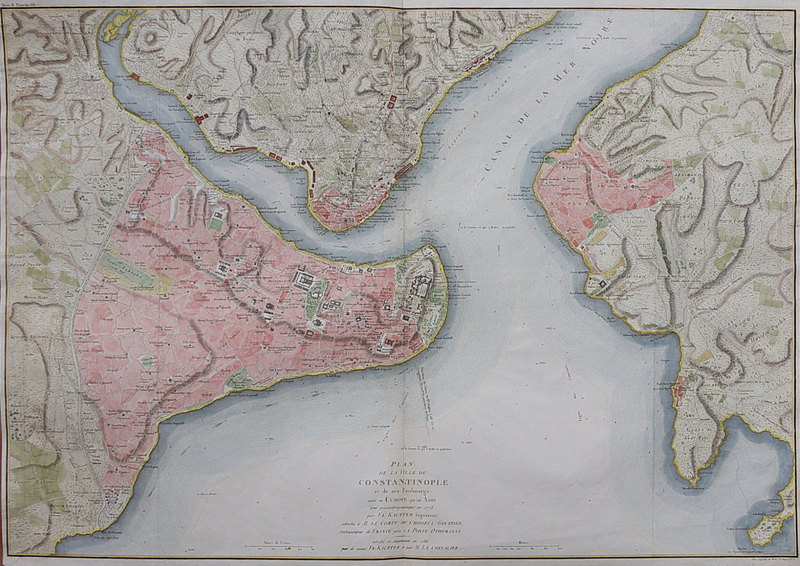 Rare large plan of Constantinople by Fr Kauffer and Le Chevalier. Carta geographica la quale rappresenta lo Stato della repubblica di Genova..
ANGLIAE SCOTIAE ET HIBERNIAE SIVE BRITANNICAR .. LE MONDE DE NOUVEAU..LES TABLES DES ISLES NEUFUES..
EUROPA DIE ERSTE TAFEL DISER CHRONICKEN ..